Communication is the KEY to let other know about your thoughts. Exceptional, enlightening, and quality content is the KEY to communication through which you deliver your message to your prospective clients. Content writing plays a vital role in the promotion of any business. Best and original content helps to strengthen business and increase the conversion ratio. In this case the client gives a concept and some examples. 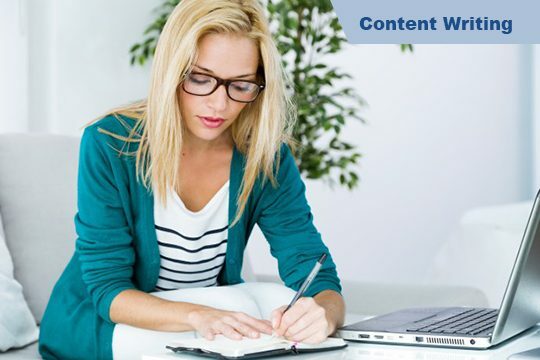 The content writer elaborates the concept in the desired quantity of words. Shan Translation extend support to write content for different services and sectors namely website content, corporate content, blog content, technical content, SEO content, newsletters, articles, press releases, software manual and much more. Our team has mastered different writing styles and are well trained to proofread the content in all aspects before it is delivered to the customer. They are efficient in understanding the customer’s need and create simple yet powerful original content maintaining the tone of your requirement. Shan Translation offers the world;s larget 300 languages in content writing. We are proud that we offer all these quality services at a very competitive rate.